Samsung has launched two new colour variants of its Galaxy A8s smartphone in China ahead of the Valentine's Day celebrations. We'll be able to tell you what the name ends up being as soon as it's announced though, as we'll be reporting live from Samsung's Unpacked event in San Francisco on February 20. Recent reports for the smartphones mostly serve to corroborate earlier information, but things are getting final especially as Samsung finalizes its launch plans. For imaging, it gets a 13MP f/1.9 main camera with a 5MP ultra-wide-angle shooter, while the front gets an 8MP f/2.0 selfie camera. Both S10 and S10 Plus will have in-display fingerprint sensor. The camera and flash assembly is placed in a vertical layout that keeps the rear side of the phone quite clean. Obviously, this is a reference to Samsung's folding smartphone, which thus far has only been teased. The Galaxy S10e will also be the smallest of the lot, with a 5.8-inch screen. The phone features the same water drop notch at the top and has a tall display. What About The Galaxy S10+? The back of the regular Galaxy S phones will be made up of glass. Additionally, the smartphone has a rear-facing fingerprint sensor, which again resembles the Galaxy M20. Samsung has dropped a teaser video on Twitter with the caption "The future of mobile will unfold on February 20, 2019". 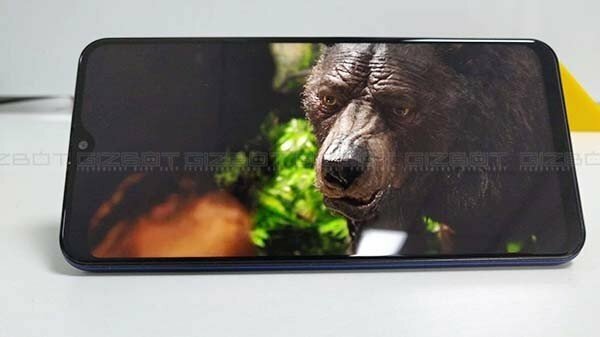 It appears that the new gradient versions of the Galaxy A8s, which are being called "Unicorn Edition" on Samsung website, will only be available in a single configuration with 6GB of RAM and 128GB of internal storage. The price of Galaxy S10e could start at around Rs 50,000, while the bigger S10 Plus could be priced at around Rs 75,000.